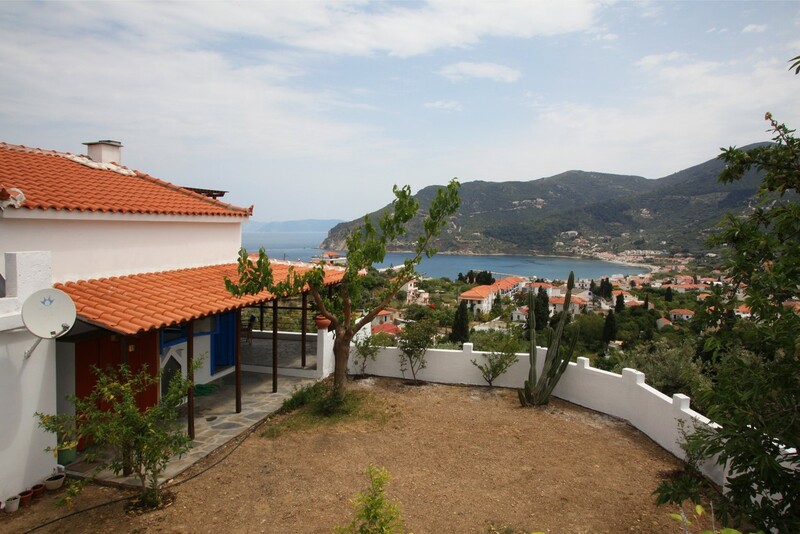 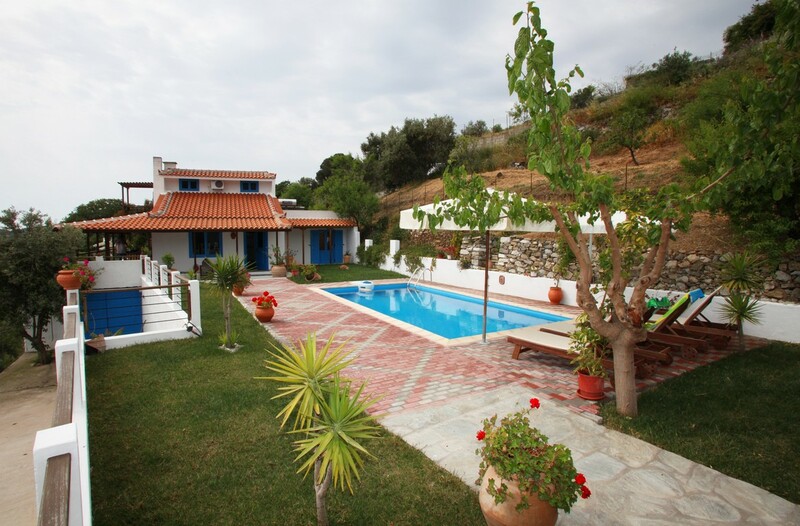 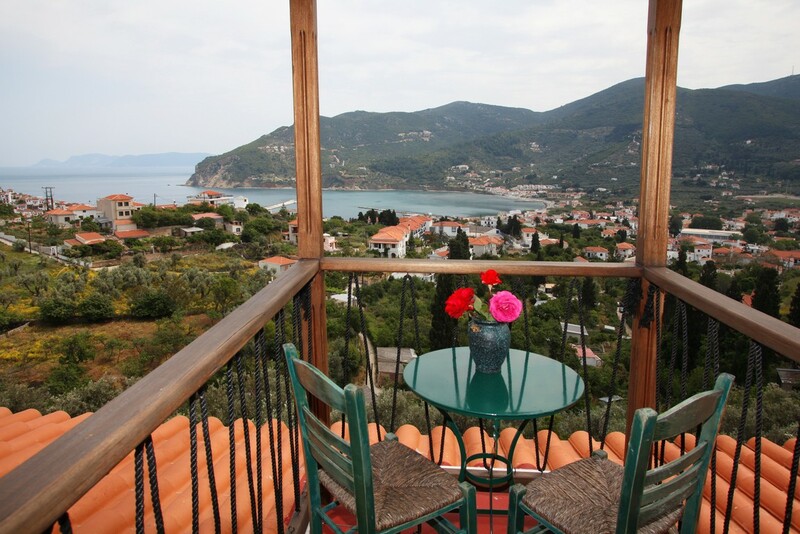 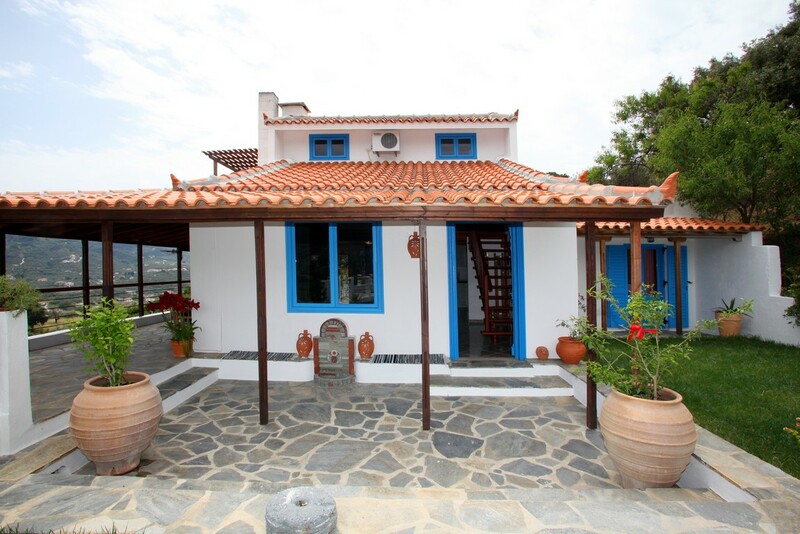 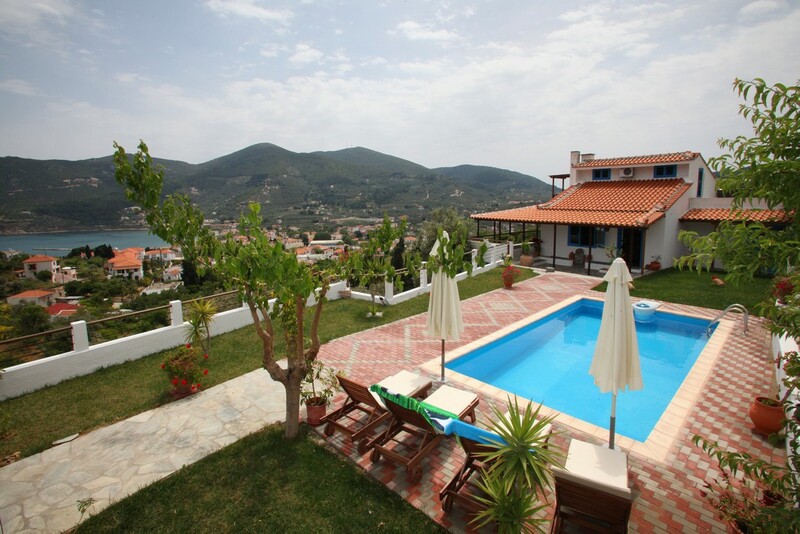 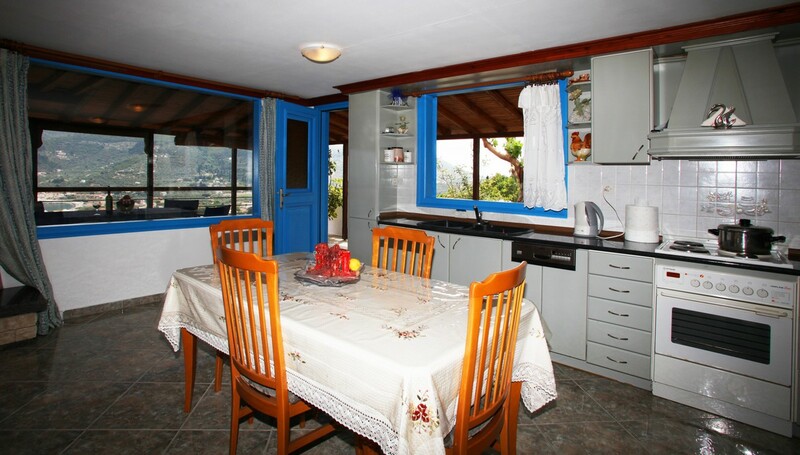 Villa “Mourtia” is situated in a quiet place in the town of Skopelos. 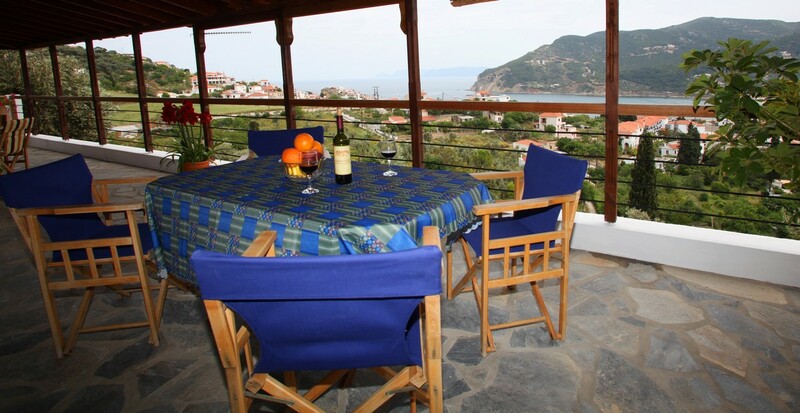 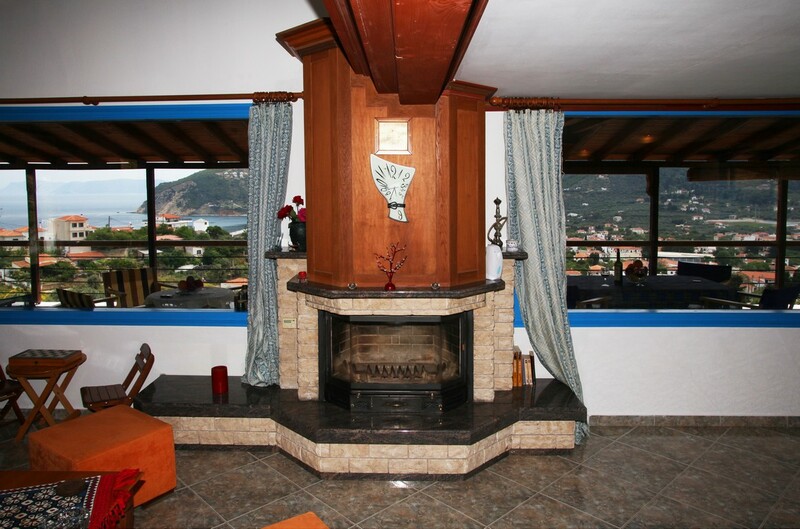 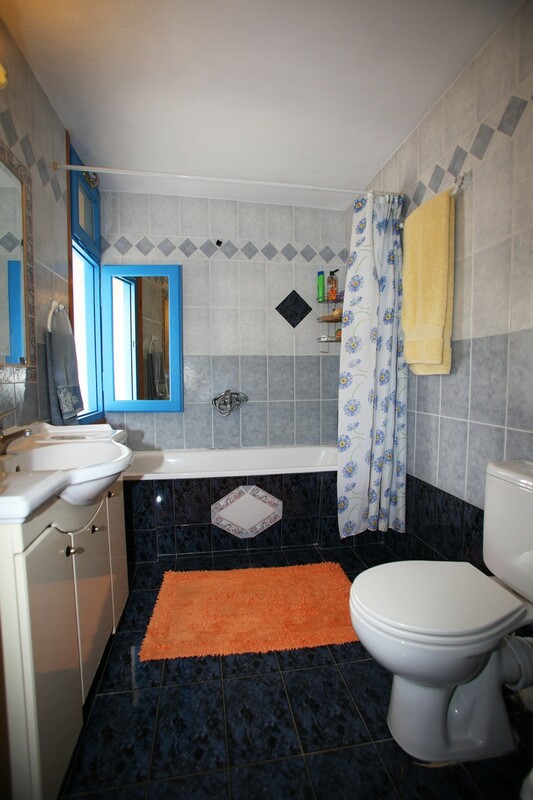 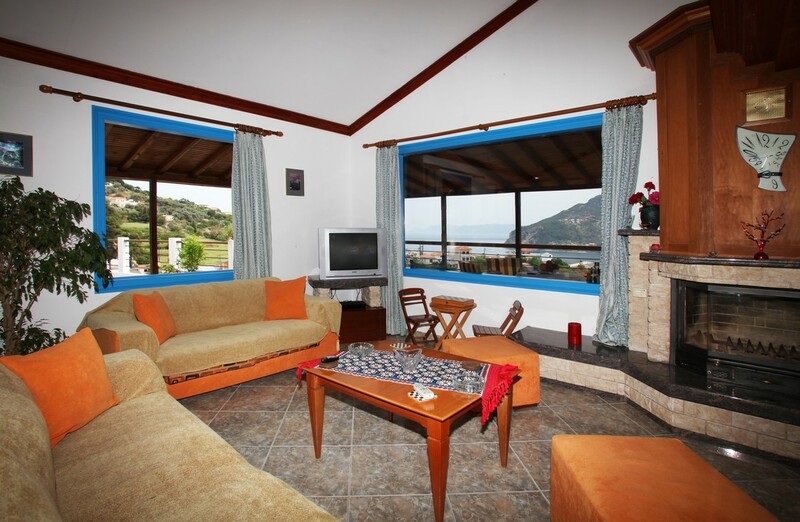 It is 500m away from the port and offers a magnificent view to the sea and the town. 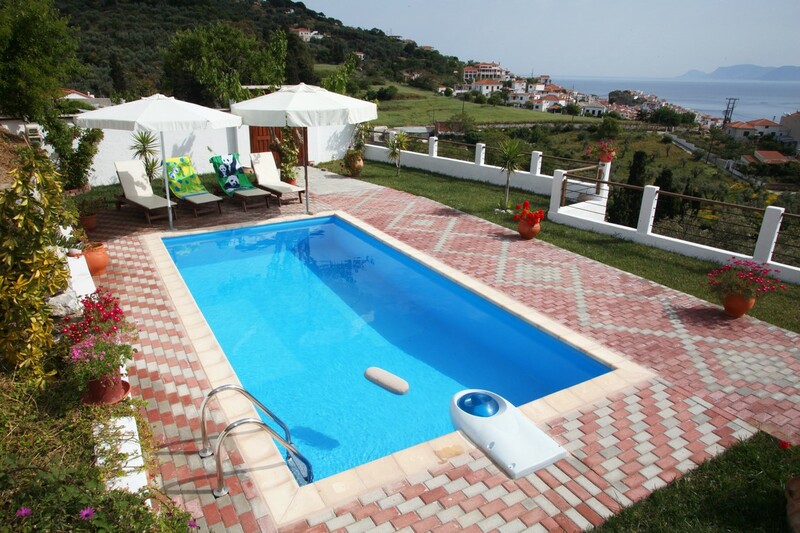 Its private pool with umbrellas and sun beds and its large furnished veranda can give you relaxing moments. 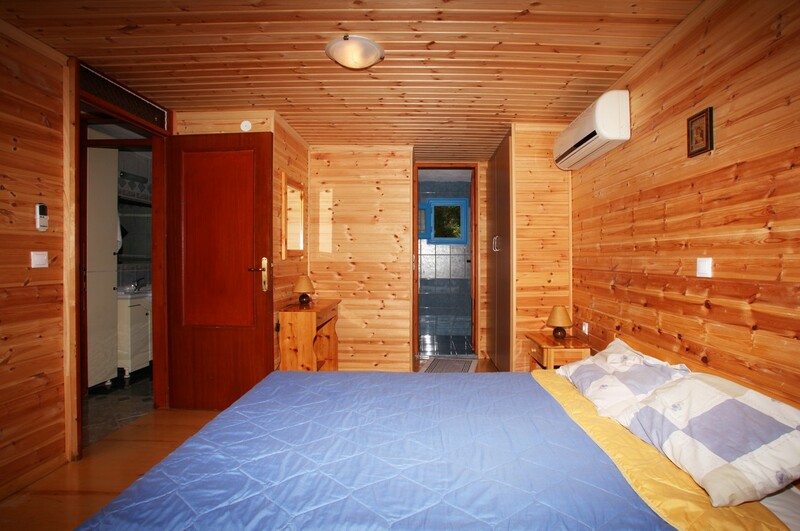 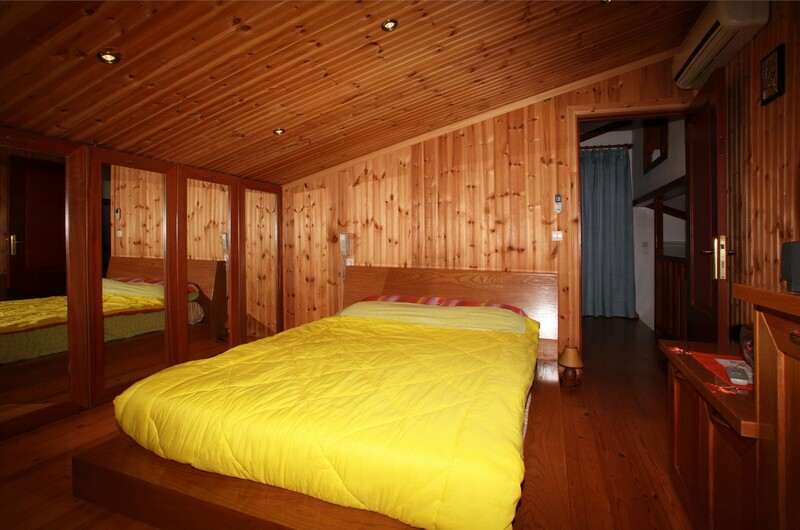 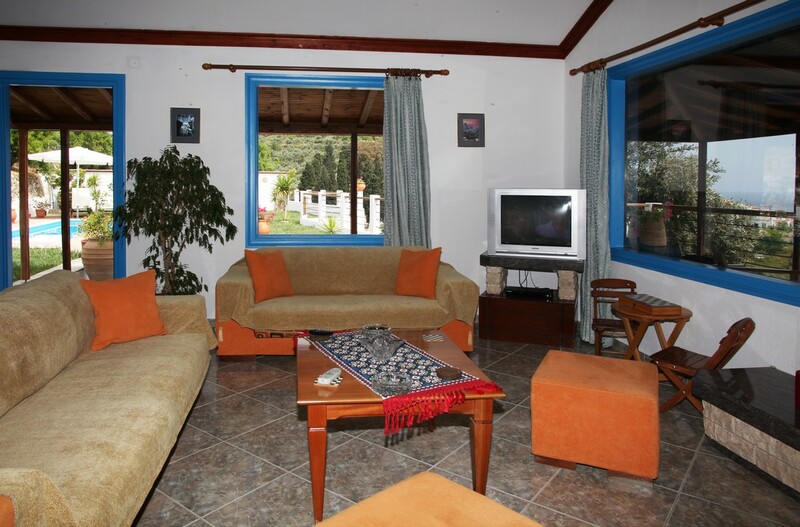 The villa has 3 bedrooms and 2 bathrooms. 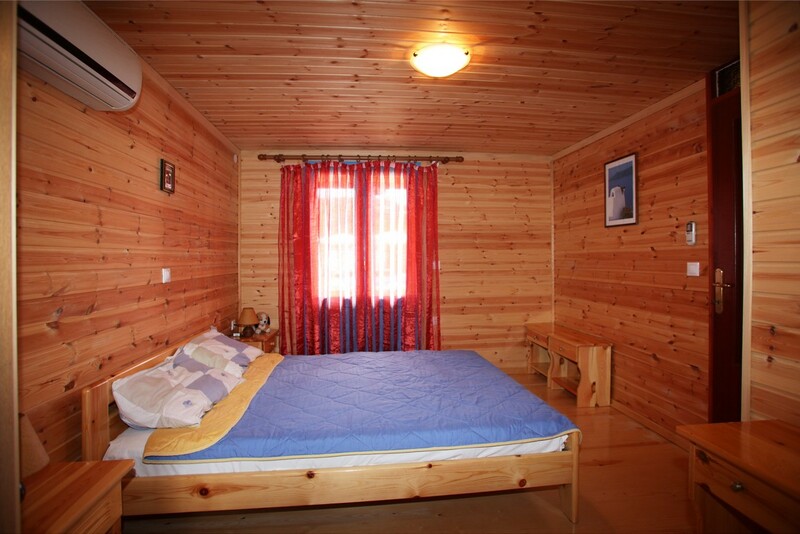 One of the bedrooms, the living room, the kitchen, the dining room and two bathrooms are situated on the ground floor while the other two bedrooms are on the first floor. 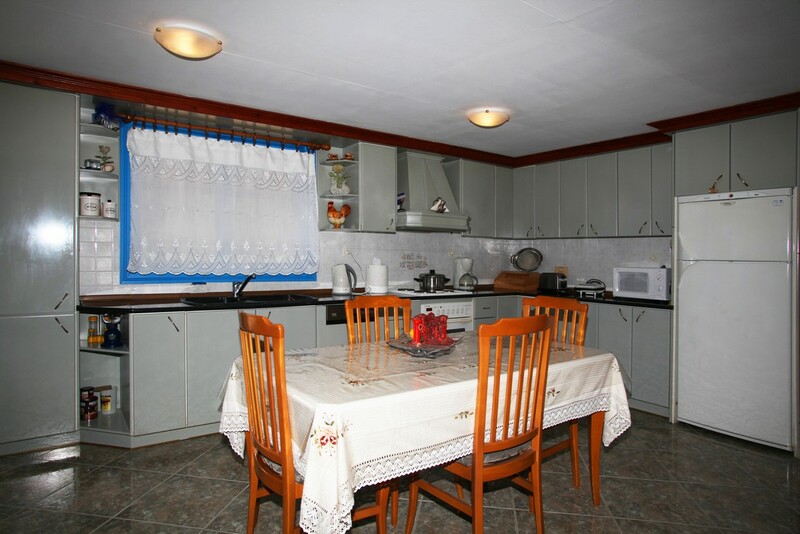 Restaurants, super markets, bakeries and many other shops are 300m away from the residence. 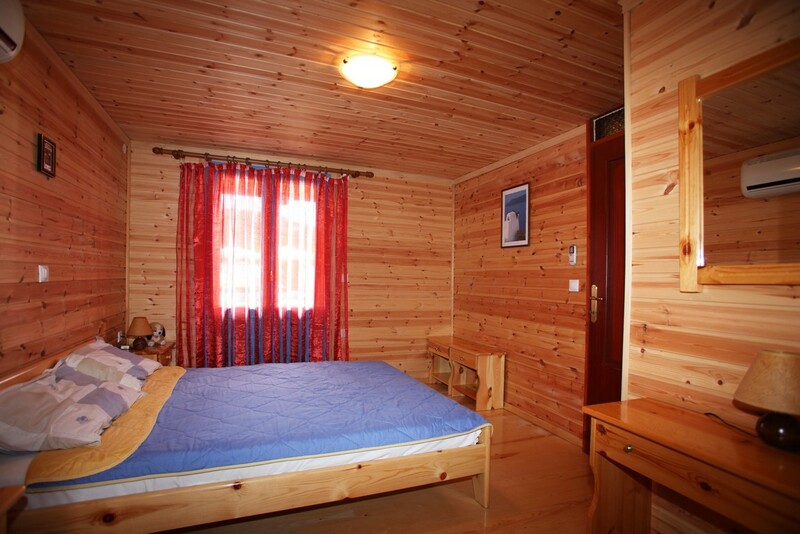 Cleaning and change of sheets every 3 days. 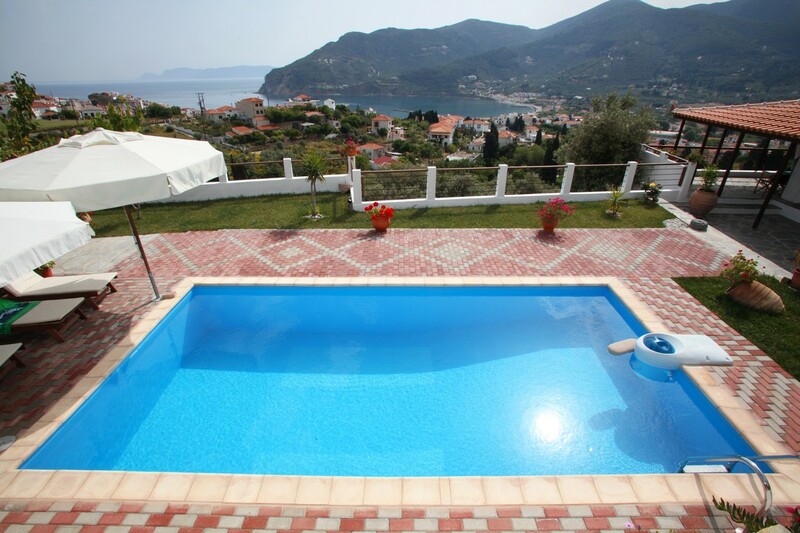 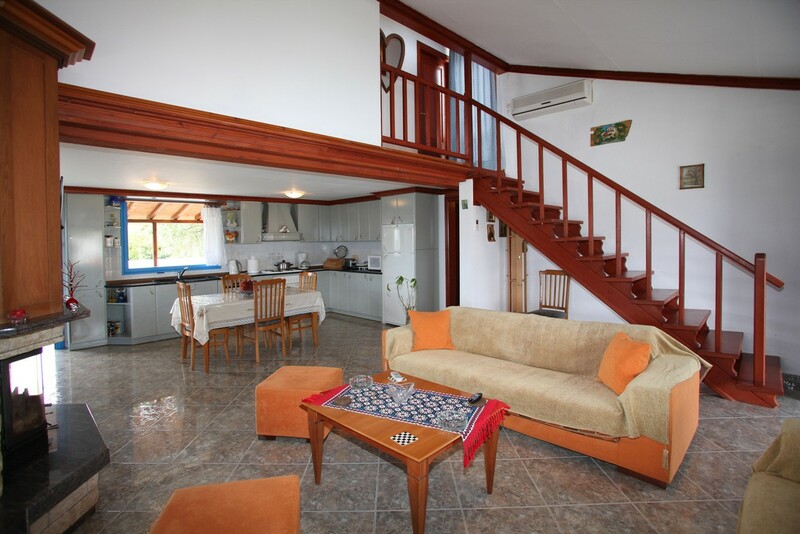 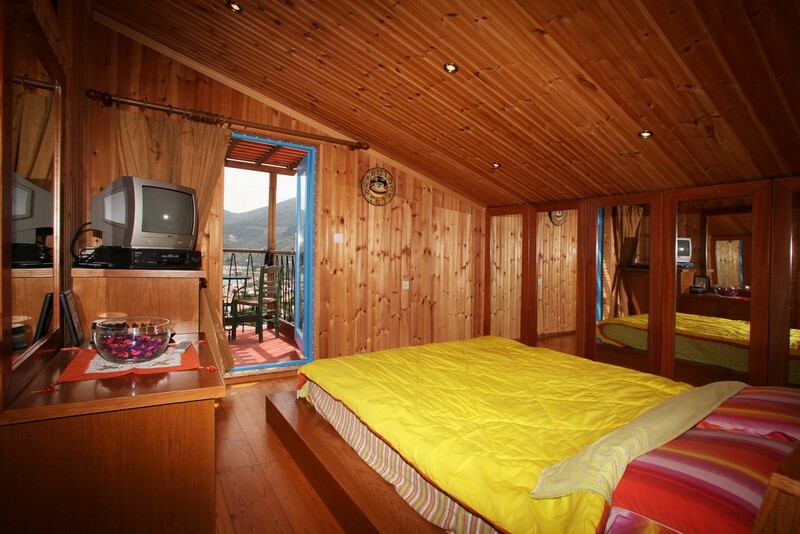 The villa can accommodate: 2-6 persons.